Let them cook for 5 minutes with lid closed on slow medium heat. Now add sugar and stir well till sugar caramelizes. 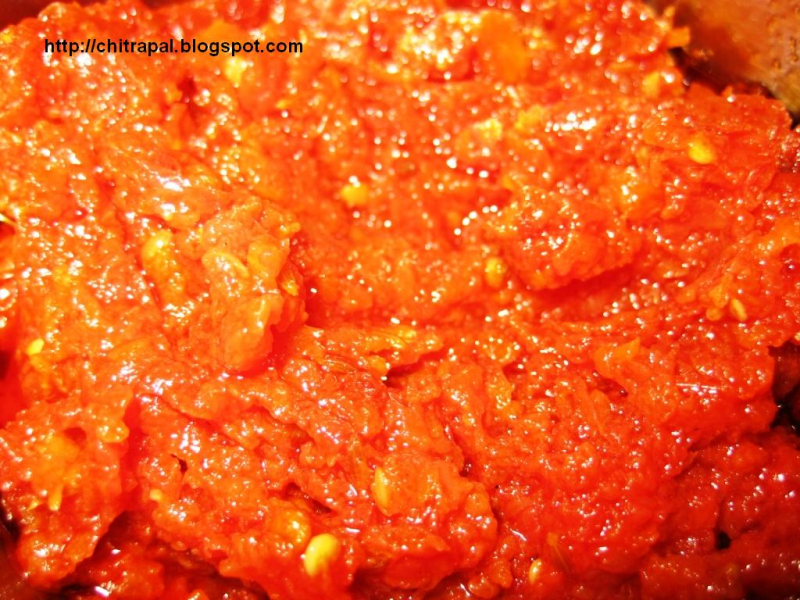 When sugar is melted well add salt and red chili powder and let it cook until all water is evaporated on slow heat. Serve hot or cold with parantha’s or on bread as a spread. Instead of sugar, add grated jaggery, this enhances the taste. Thanks you all for wonderful comments. have been looking for this for long now.. thanx a tonnee! !